Many people who are arrested for domestic violence have no prior criminal record. In the past, police officers had more discretion regarding whether or not to make an arrest when responding to a “domestic violence” call. However, cases like the O.J. Simpson murder trial changed the way that law enforcement handles domestic violence and now officers are typically required to arrest one or both of the parties when responding to a domestic violence call. For those arrested, it is critical to speak with an experienced criminal defense attorney who handles domestic violence cases as soon as possible, preferably as soon as they are released or bond out of jail. Early intervention can often make a critical difference in dealing with a domestic violence case. When responding to a domestic violence call, the responding officers will typically take statements from the involved parties and will document any observable injuries. The officers will determine who was the aggressor and that person will be arrested. Sometimes this is the person who initially called 911 but this is not always the case. It is not unusual for both parties to be arrested on suspicion of domestic violence. If the officers observe significant injuries or if these are reported, the suspect will be arrested on suspicion of corporal injury to a spouse in violation of California Penal Code Section 273.5 PC, which is a “wobbler” offense that can be charged as either a felony or a misdemeanor. If the officer believes that the physical contact may have been limited to pushing and shoving or other “minor” conduct, the defendant may be arrested on suspicion of battery to a spouse pursuant to California Penal Code Section 243(e) PC. This is always a misdemeanor offense. In either case the defendant will be taken in jail and will typically be required to post bond in order to be released. Even defendants with no prior criminal records will generally be required to post bond. If bond is posted and the defendant is released, he or she will be given a future court date for his or her arraignment. If the defendant is unable to post bond, the prosecutor must file charges within two business days or else the defendant will be released. 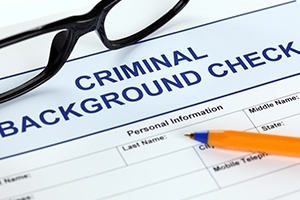 When determining the level or charges to file, or whether or not felony or misdemeanor charges are appropriate, the prosecutor will pay close attention to the defendant’s criminal record. If the defendant has no prior criminal record or no prior domestic violence arrests or convictions, the prosecutor may be more open to rejecting the charges. Alternatively, defendants with no previous criminal record may be more likely to be charged with a misdemeanor, however prosecutors will always review the facts of the case and there may be situations where first-time domestic violence offenders are charged with felonies. When sentencing a defendant on a domestic violence offense, a defendant’s lack of criminal record will often be an important factor. Under California Penal Code Section 1203.097 PC, the Court is required to impose certain mandatory probation terms, such as a protective order and a batterers’ class, however the Court and prosecutor will often take the defendant’s lack of record into account and may impose terms of probation designed to correct behaviors rather than punish. If you or a family member have been arrested for a domestic violence offense, it is crucial that you meet with a domestic violence criminal defense attorney immediately. Michael Kraut is a former Deputy District Attorney with over 14 years of prosecutorial experience who understands how to effectively defend clients charged with domestic violence offenses. When retained early enough, Mr. Kraut has been able to get charges rejected completely. For more information about first time domestic violence offenses and to schedule your free consultation, contact Michael Kraut at the Kraut Law Group located at 6255 Sunset Boulevard, Suite 1480, Los Angeles, CA 90028. Mr. Kraut can be reached 24/7 at 888-334-6344 or 323-464-6453.